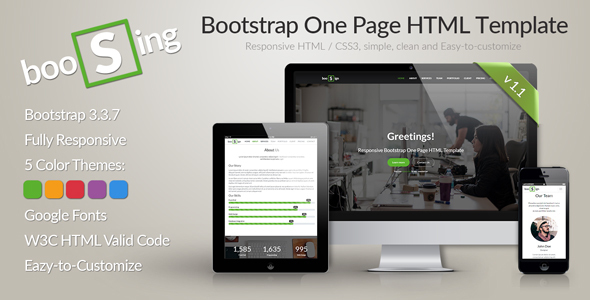 BooSign is a One Page HTML Template. It’ fully responsive and clean. BooSign built on HTML5, CSS3, JS / jQuery and Bootstrap. BooSign is a well designed and coded template suitable for Corporate, Business, Agency, personal portfolio websites. The images are not included in the download.